Like a lot of industries in the UK, property and construction has been a sector filled with uncertainty over the last two years following the Brexit Referendum. However, the town has managed to take huge steps forward with major developments, creating jobs and attracting investment into the town. Northern Gateway has made great strides in 2019 – the car park is soon to be complete and Jomast Developments have now handed over the former Co-op department store it has redeveloped on Elder Way to Premier Inn. Spades are also soon to go into the ground at Chesterfield Waterside when Avant Homes starts building 177 homes later this year. Aligned with developments in the borough, developing Chesterfield’s town centre is a priority for Chesterfield Town Council. Town centre living is key to increased footfall and creating an environment that meets the demands of the modern retail environment. It’s an exciting time for the town’s property and construction sector. Hosted by Whittam Cox Architects, this month’s round table, organised by Destination Chesterfield in conjunction with the Derbyshire Times, brought together key figures from Chesterfield’s property and construction sector to discuss how the town is adapting and how the private and public sector can work together to attract investment and ensure the future of Chesterfield’s high street. How will the commercial property and construction market develop over the next two years? TS – The industrial market in Chesterfield has a really big pool of interest, especially around inward investment however there is not much supply coming to market and it’s a task to find new sites to develop. SMEs who are looking to move into new premises at around 10,000 – 15,000 sq ft aren’t able to expand as, currently, there’s nowhere for them to go. LB – I agree. There is a lack of quality office space for businesses to move into in this area. Brexit has a huge role to play in where the commercial property and construction market’s going over the next two years, because it’s all about businesses investing. For businesses looking to invest and move into premises, they’ve got to be fairly certain that there is a stable market there for them to make that investment. TS – We’ve seen a lot of investment where money is coming from places such as Japan and America. They don’t want to invest in London because Brexit is on the horizon so they’re looking at the more regional areas such as Chesterfield. There’s a lot of investment in places like Manchester, Birmingham and Leeds, but there are more prospects in Chesterfield for rental growth and return on initial investment. AT – Two years is not that long in the commercial property sector. What I’d like to see is more of the major developments to start coming out of the ground. TB – We are starting to see them developments moving forward both locally and nationally. However, that opens up the issue of skills shortages. We need to do more to upskill people for these major developments like HS2. DP – I think there are going to be continuing problems with recruitment. 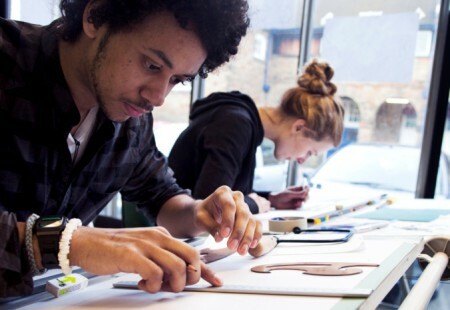 Already we see a lack of young people coming into the industry at all levels. TB – I think that is partly down to a lot of big projects snapping that talent up right away. 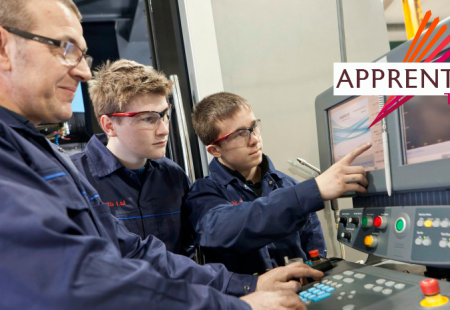 We need to make good use of the apprenticeship scheme. That’s something we’ve found to be really helpful as you can start to develop that skilled workforce. 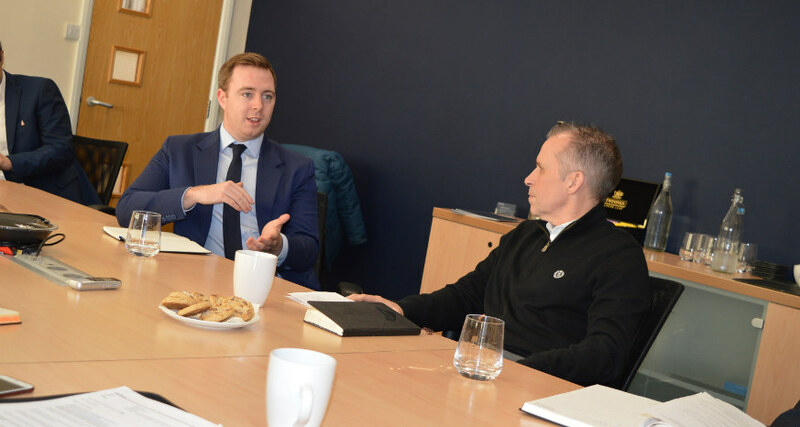 How should the private and public sector collaborate to attract more investment to North Derbyshire? LB – The way our local councils are being funded is changing significantly. We’ve got to look at models that allows them to become self-sustaining. We need to see how they can make it easier to facilitate development without comprising on quality. It’s about getting that message out there that Derbyshire is open for business. TS – The county council and the local councils having a unified approach can really drive forward investment decisions and opportunities. TB – Messaging is key. Instead of the focus being on what we’re building all the time, we should telling people about what the positive outcomes and aims are for the projects and then saying how we’re going to do it. LB – We look at what we need to deliver to benefit the local area and then work backwards to see how we are going to do that so it’s important to get councils on board early with those development opportunities. AT – It’s important for the councils to have these projects that they can talk about to actually evidence opportunities, Chesterfield Waterside and Northern Gateway coming out of the ground will really help with that. TB – It’s really useful to be able show people development schemes in as much depth as we can using the technology that is readily available to us. If we can start using this technology to show the public how they can actually benefit from these developments rather than just showing a flat plan, it might help them understand them and support them more. The future of the high street is a focus for towns and cities across the country, how should we be shaping infrastructure and development to ensure Chesterfield town centre meets consumer-changing needs? LB – The future of town centres is the history of them and I think we need to start living in them again. Retail is a very difficult sector at the moment and the way we are buying things as a society has changed. Town centre is living is key to regenerating town centres and I believe we should look relaxing planning laws to get more residential areas in town centres. AT – When people talk about ‘the death of the high street’ they are actually just talking about the retail aspect of it. Moving forward, we need to create a destination where people can live, work and have fun all in the town centre. TB – At the moment, if you want to go into Chesterfield, you’re going to drive unless you live fairly nearby. That means you’re probably going to hit a number of difficult roundabouts before having to look for a place to park. If we had something in place which meant you don’t need to use your car the whole way, such as a park-and-ride scheme, then that could be really beneficial. Giving people flexibility in how they can get into the town will attract more people. TB – There are still too many cars in Chesterfield town centre and the roads are acting as barriers rather than connections. We really need to create a clear path into the town centre from places like the train station and Ravenside Retail Park. TS – One of the biggest problems for retailers looking to invest in Chesterfield is the property stock. It is a market town with old traditional buildings. Retailers want large boxes, not the quirky small spaces Chesterfield town centre seems to have in abundance. However, building ‘boxes’ will rob the town of its character which is one of its major assets. DP – Rather than shops, today people want leisure-based activities and experiences when they visit town centres. It’s crucial we look at incorporating that into Chesterfield as much as possible. TS – Another thing to look at is students. Sheffield is full of students which really helps to keep the city centre busy. We’ve got the University of Derby campus in Chesterfield so, if we get some more student accommodation in the town that could have a big impact. TB – There are already many great things happening in the town; it’s important that we all – public and private sector – shouting about the together. Destination Chesterfield is part funded by contributions from local businesses, Chesterfield Borough Council and the European Regional Development Fund. The project is helping to improve the economic prosperity of the town through a campaign to promote Chesterfield. 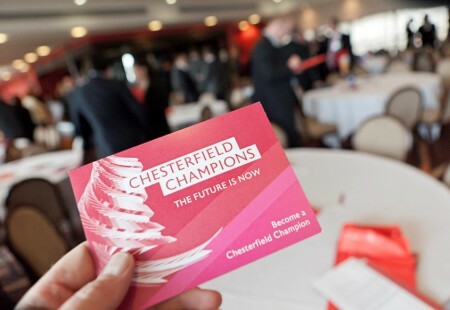 The local business community plays a central role in its success by both leading an independent Board of Directors for Destination Chesterfield, as well as businesses pledging their support to become Chesterfield Champions. 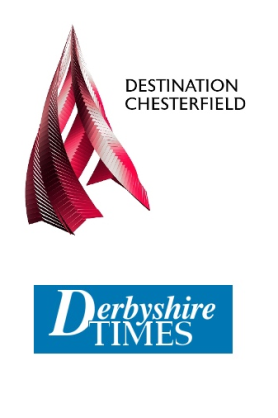 Champions Round Tables are monthly discussions organised by Destination Chesterfield in association with the Derbyshire Times.